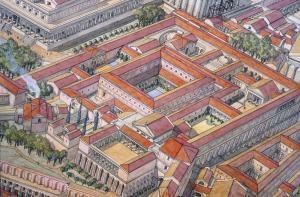 The complex built by Tiberius on the Palatine covered much of the west side of the hill between the Temple of the Great Mother and the hillside towards the forum, perhaps the site of the emperor’s paternal home. The buildings are little known, as the area was covered in the sixteenth century by the Garden of the Farnese family, in part still existing, and so excavations have only explored their edges. 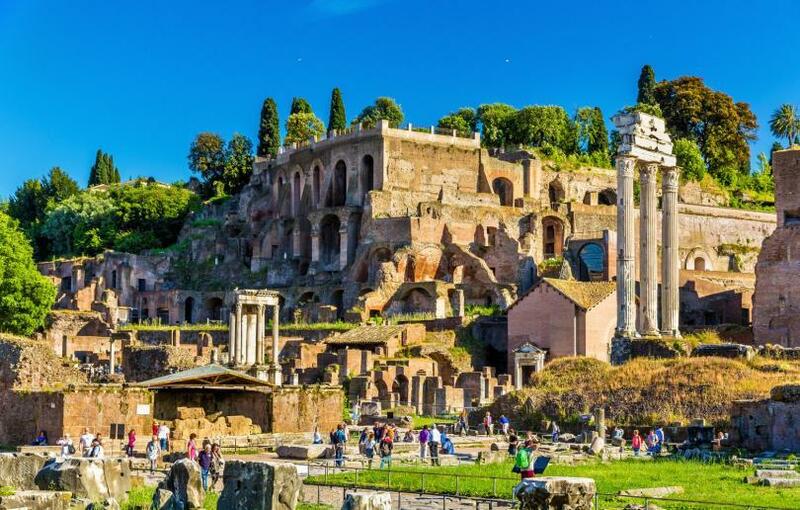 View of Domus Tiberiana from the Roman Forum – Rome, Italy. Few of its ruins have been excavated, being overlaid with the beautiful Orti Farnesiani (the Farnese Gardens). These were set out for Cardinal Alessandro Farnese in the 16th century by the great Renaissance architect, Vignola. 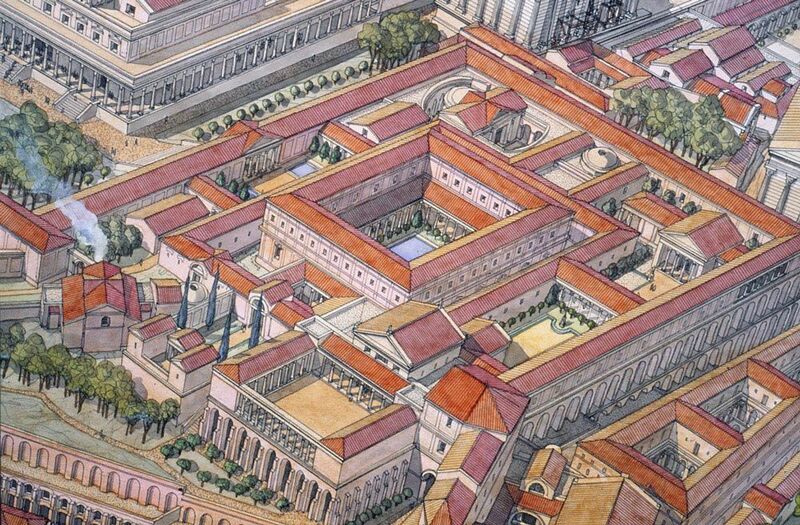 Caligula in turn extended Tiberius’s Domus west towards the Forum, away from the 130m (425ft) Criptoportico (Cryptoporticus) on its east, a half-buried corridor built by Nero which linked the various imperial palaces. Legend has it that this was where Caligula was stabbed to death. We know that the residence of Tiberius was enlarged by Caligula and restored by Domitian, Hadrian and Septimius Severus. 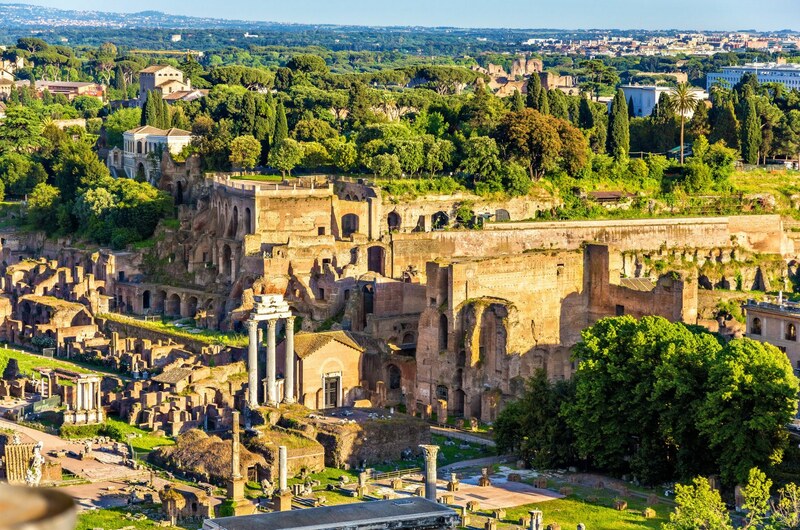 It long remained in use as the residence of the designated heir to the empire, while the reigning emperor occupied the nearby Domus Augustana. 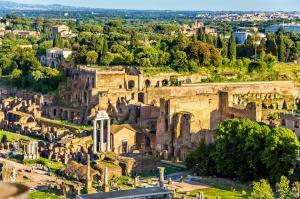 For example Marcus Aurelius and Lucius Verus both moved here after their adoption by the Emperor Antoninus Pius.